Looking for some grooming services for your furry friend but unsure where to start? Woof woof not! We’ve put together a list of top dog spas in Chennai where you can totally give your dog that much-needed makeover. A great pet boarding and grooming place, Dog’s Life offers good spa options well. Starting INR 600, these include options like nail trimming, medicated washes and more. Read more about it here. Popularly know as a human-friendly pet café, Harley and Me also offers spa options that include normal as well as medicated bathing, hair and nail trimming for all breeds starting INR 1400. For more info, click here. 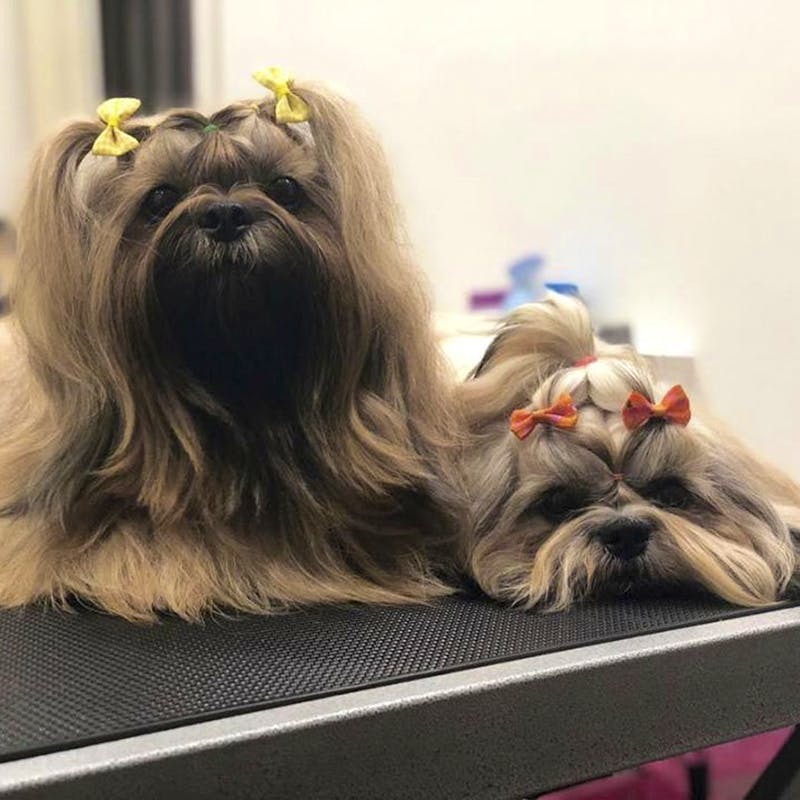 With a reputation for exercising extra caution and care while grooming eyes, ears, and paws, Cutz to Cuddlez Dog Salon & Spa is among the most sought after places for dog spas. All the grooming activities are carried out by certified groomers with spa packages starting from INR 1400 and including dry brushing, medicated bath, ear cleaning, and nail & hair trimming. Specializing in Pet-Styling, Cho Chweet’s dog spa services are quite well-known across the city. With spa packages starting from about INR 1000 and including services like nail clipping, shampoo bath and hair cutting and you can give your pawsome friend an amazing makeover. Read more about it here. With multiple dog spa packages, you can totally groom your dog to the T. The basic spa package here starts from INR 1200 and includes bathing, brushing, sanitary shaving, nail trimming, ear cleaning and more. Haircuts start from INR 500 and are charged for separately. With an extensive dog spa service that includes hair cutting, brushing, medicated bathing, ear cleaning, and nail trimming, Cats and Dogs are known to be the ultimate pet parlour. Spa sessions here start from about INR 1500.